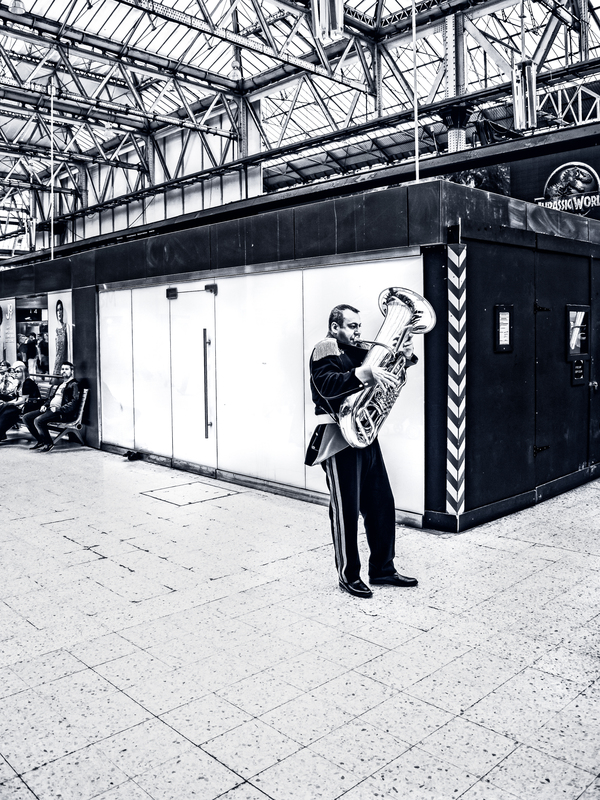 Today’s photo:The Lonely Tuba player. I was surprised to see a full marching band in Waterloo station recently, all dressed up in Ruritanian-style uniforms. Alone at the back was this single tuba player, and from my angle he looked completely isolated. The morose passengers nearby were also fairly unimpressed. It would take a full-scale Martian invasion to get their attention of course. Shot on my spiffy new Nikon 1 J5 camera – at last a lightweight Nikon with performance up there with the Olympus’s, as the latest DxOmark results show.